At the Law Offices of Fraulob - Brown, we care about our clients. We understand that being hurt on the job is very stressful and can feel overwhelming to our clients and their families. In addition to being injured, workers must to deal with their employers and the workers' compensation insurance companies in order to receive all of the benefits to which they are entitled, including temporary disability benefits and medical expenses. As Sacramento workers compensation lawyers, we guide our clients through every step of the process, advising them what to expect and what to do whenever they have a question or concern. When we deal with insurance companies and opposing counsel, we are zealous advocates, seeking every possible source of compensation for our clients. How can workers compensation help after you've been injured on the job? ﻿Wh﻿y hire﻿ an experienced ﻿workers﻿' compensation lawyer? A work related accident is a traumatic event in more ways than one. Of course, you are in physical pain due to the injuries you’ve suffered, but that’s not all. You’re also experiencing an enormous amount of mental pain that can be as bad, or worse, than your physical symptoms. First of all there’s worry. Will you recover or will the effects of your injuries change your life forever? Next, there’s fear. If you don’t recover, how will you earn a living? How will you pay your bills? Who will take care of your loved ones? Finally, there’s confusion. What should you do? Who can take care of this? What’s your next step? The answer to all these questions is simple. A doctor can take care of the physical symptoms caused by your on the job accident. A competent worker’s compensation attorney at the law firm of Fraulob-Brown can take care of the rest. The injury cost you money. Establishing that someone else was at fault for the accident can be difficult and time consuming. Worker’s compensation laws, on the other hand, protect workers like you by removing the element of fault from the equation. The fewer number of steps involved in a worker’s compensation case make it much easier for you to be compensated for the damages you sustained. Why hire an experienced workers' compensation lawyer? We hire experts all the time. Why? Because many of us realize that some jobs require a high level of expertise in order to be completed successfully. We know that we don’t possess the necessary skills, and we don’t want to get in over our heads, so we turn to an expert who can use their own experience to get us the results we want. That’s why we leave high end car repairs to an experience mechanic, hair cutting to an experienced barber or stylist, and medical care to an experienced physician. They simply have the skills and experience to do the job right. It’s no different when it comes to your workers’ compensation claim. An experienced workers’ compensation attorney has the legal skills necessary to bring your claim to a successful conclusion, getting you the results you want, need, and deserve. However, legal skills are only one of the benefits of hiring an experienced workers’ compensation attorney. Let’s take a look at some of the other benefits. An experienced workers’ compensation attorney can give you an honest and professional assessment of your workers’ compensation claim. They can give you a realistic estimate of how much compensation you can expect to receive. They can explain the legal process that’s involved in obtaining this compensation. They can tell you when you can expect to receive the various benefits that you’re entitled to. This type of professional assessment can reduce your worries about the future and give you the peace of mind you need to recover quickly and completely from your injuries. Workers’ compensation attorneys work on what is known as a “contingency” basis. This means that they don’t get paid unless you successfully obtain compensation. If you don’t obtain compensation, you owe the attorney absolutely nothing for their efforts. Once you are compensated, your attorney is entitled to no more than 15% of what you receive by way of settlement. Contingency fees mean that you can afford to be represented by an experienced workers’ compensation attorney...one who can use their experience to your advantage. You don’t have to pay anything up front and you can be assured that your attorney will work hard to get you everything you deserve. After all, they won’t get paid unless you do. Even though California’s workers’ compensation laws are designed to protect you as the employee, it is a mistake to think that receiving benefits is an easy matter. Workers’ compensation law in the State of California can be a complex affair. There are numerous procedural and statutory requirements that must be met in a timely and sufficient manner. One mistake in the process can reduce the amount of money that you are able to recover for your injuries. In some cases, a mistake can even cause your claim to be rejected, thereby eliminating your ability to recover anything whatsoever. A seasoned workers’ compensation attorney has the experience necessary to deal with the law’s complexities, and get you the monetary relief you are entitled to. Workers’ compensation laws are designed to simplify the process of getting benefits to the injured workers, like you, that need them. However, even though the process has been simplified, it is not automatic. You still have to prove that you were injured while working in order to obtain compensation. That’s why every workers’ compensation claim depends upon documentary and, in some cases, testimonial evidence in order to succeed. An experienced workers’ compensation attorney knows how to gather the evidence that establishes your valid claim and knows how to best present that evidence so that you obtain the benefits that are vital to your livelihood. Your workplace injuries may be among one of the worst things that has ever happened to you. You’re in pain. You’ve likely lost mobility. You are probably unable to work. You may be facing weeks, months and, in some cases, years of reduced physical capacity along with a correspondingly reduced income. That’s a lot to deal with. So much so, that you may not be able to objectively and dispassionately analyze your situation. You are simply too close to the situation, and have too much emotional investment in it. Your workers’ compensation attorney is there to give you the objective analysis that you need to stay the course and see your claim through to the end. They are not there to sugar coat the truth or provide you with false hopes. Like your doctor, they are paid to deal with a negative situation in a straightforward and forthright manner. You are not paying them to give you unrealistic view of the potentials and probabilities involved in your claim. You need to know the truth about your claim. 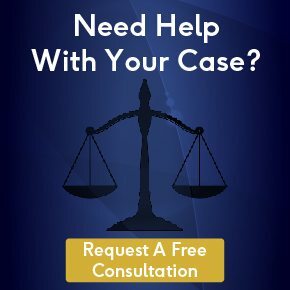 Your attorney will deliver that truth and use their skill and expertise to get you the best solution that is possible under the circumstances. Workers’ compensation law in the State of California is still an adversarial process, despite being designed as a “no fault” system. Your employer’s insurance company is in the business of efficiently dealing with every claim that is made on a workers’ compensation policy that they issue. This means that if there is an opportunity for them to reduce the amount that they pay out on your claim, they will take it. An experienced workers’ compensation attorney is proficient in dealing with the insurance company lawyers and adjusters whose job it is to reduce the amount of your compensation. They understand the tactics commonly used by lawyers and adjusters to devalue compensation claims. They know how to counter these tactics so that the value of your claim is increased. The result is that your ultimate compensation is maximized, so that you can eliminate the damages caused by your workplace injury and get back to normal as quickly as possible. Except in emergencies, your employer must authorize medical treatment within one day after you file a claim form. Treatment up to $10,000 is available until the claim is accepted or rejected. After your claim is accepted, all medical care that the law considers reasonable and necessary to cure or relieve the condition is covered, subject to treatment guidelines, utilization review and independent medical review. Medical treatment includes doctors, hospital services, physical therapy, lab tests, x-rays, and medicines. Reasonable transportation, child care and home care needs are also included. All treatment or services requested by your physician are subject to a review process by the insurance carrier that must be completed within 14 days. All authorized treatments are paid for by the insurance carrier or third party administrator. You should not receive bills or be responsible for co-payments. If treatment is denied, there is no right to appeal the denial to a judge. Workers’ compensation pays for both temporary and permanent disabilities. You must be unable to work for a minimum of three days to file a temporary disability claim. Temporary disability compensation is based on your average weekly earnings, up to a set amount, and is available for a maximum of two years in most cases, paid within a five year period after the injury. If the injury or illness permanently impairs your ability to compete in the open labor market, you may qualify for a permanent disability benefit. Permanent disabilities are always determined after consultation with a physician. The formula for calculating the percentage of permanent disability is based on earnings, age and occupation at the time of the injury plus the impact on function and activities. In the worst-case scenario, death benefits are paid to qualified surviving dependents. The total death benefit is based on the number of dependents and the temporary disability rate. Benefits are paid out over time, until the total benefit is paid in full, up to a maximum of $320,000. Even though California’s worker’s compensation laws are there to protect workers this doesn’t mean that making a successful claim is simple. The law imposes specific requirements that must be met before compensation is approved. This means that you, an injured worker, have to take specific steps in order to preserve your rights. First, you need seek immediate medical treatment for your injuries. Delay in seeking treatment can have serious consequences on your chances for a full recovery. Additionally, delay in treatment can also have serious consequences on your worker’s compensation claim. In general, the longer the period of time that exists between the date of injury (or the date you become aware of your injuries) and the date of treatment, the less likely it becomes that you will receive adequate compensation for your injuries. Second, in order to successfully get the compensation that you deserve, you must establish your employment related injuries in a timely manner. As soon as you realize that you are hurt, you must bring the fact that you have been injured to the attention of your employer. The longer you delay, the harder it will become to establish that your injuries were work related. In fact, if you wait long enough your worker’s compensation claim may be denied altogether. As a result, you will forfeit any chance to obtain the money you need to pay for the expenses caused by your injuries. Therefore, you should notify your employer about your injuries at the first possible opportunity. Your employer is required by law to provide you with a worker’s compensation claim form within one day of being notified of your injuries. You can use this form to provide all the information needed to document your injury, things like the date of injury and the nature of the injury, as well as your personal information. Finally, if your employer fails to provide you with a claim form, if you are unsure of how to go about correctly filling out the form or if you simply feel overwhelmed by the entire process, then it is time to seek the advice of an experienced worker’s compensation attorney. Remember, even though worker’s compensation laws in the State of California are designed to make it easier for an injured worker to receive compensation, they are still a complex set of rules and regulations. One mistake on your part can seriously hurt your chances to be compensated or even shut the door on compensation entirely. Don’t take that chance. The attorneys at the law firm of Fraulob-Brown are experienced in worker’s compensation law. They know the law and how to best use it to their client’s advantage. They can take charge of your claim and successfully bring it to conclusion by obtaining every penny of compensation that is rightfully yours. This can include money for your medical bills, payments to you if you can’t work during your recovery period, payments if you fail to fully recover, money to pay for job retraining should you not be able to resume your previous employment and, should your injuries be fatal, payments to your spouse and children. More importantly, they can also bring you the peace of mind that you deserve to have during such a stressful time. How much does it cost to hire a workers compensation lawyer in Sacramento, CA? The attorneys at the law firm of Fraulob-Brown work on a contingency basis when it comes to worker’s compensation claims. This means that there is no upfront charge to you when they take your claim. The only time they get paid is when you get paid. California law limits an attorney’s fees in a worker’s compensation case to a maximum of 15% of the total of certain benefits received. This means that the most your attorney will receive for successfully representing your claim is 15% of the amount awarded to you for your injuries. Can my employer fire me for filing a workers compensation claim? The short answer is no. It is illegal in the State of California for an employer to retaliate against an employee who has been injured on the job or who has filed a workers’ compensation claim. It’s also illegal for an employer to retaliate against an employee who testifies or provides evidence supporting a co-worker’s claim. Any employee who feels that their employer has retaliated against them for filing a claim can bring a petition before the Workers’ Compensation Appeals Board (WCAB) of the State of California. The Board has the power to award the injured worker greater compensation, reinstatement to their former position, and lost wages and benefits caused by the employer’s actions. Are independent contractors covered by workers compensation? California law does not require that employers provide workers’ compensation insurance to independent contractors. So then the big question becomes: who is an employee and who is an independent contractor? Usually, this is an easy question to answer. An employee is on a company payroll and receives payment based on the time they’ve worked. An independent contractor is not on a company payroll and they receive payment for a particular job, not for time worked. An employment relationship tends to be long term. A contractor relationship tends to be short term and usually ends with completion of a certain task, job, or project. The intent of both employer and employee come into play here as well. The intent of an employer and an employee is to create an employment relationship, while the intent of an employer and an independent contractor is to avoid this type of relationship. In some cases, an employer will intentionally attempt to classify employees as independent contractors in order to avoid having to meet certain statutory duties, such as providing workers’ compensation insurance coverage. In these cases, the courts will look at the specific facts of that particular employment relationship, including those discussed above, to determine if the individual in question is an employee or an independent contractor. What happens if my employer doesn't have workers compensation insurance? California law requires that all employers must provide workers’ compensation insurance coverage for their employees. If your employer fails to comply with this law, they will face civil fines and could even be imprisoned. In addition, if your employer fails to have the required compensation insurance coverage, you are not left unprotected. The State of California has established something called the Uninsured Employers Benefit Trust Fund or UEBTF. The UEBTF is designed to pay the workers’ compensation insurance claims filed by the employees of uninsured, or underinsured, employers. This means that even if your employer has broken the law and failed to carry the proper insurance, you are still able to pursue a workers’ compensation claim and receive money for your injuries. In addition, while the law usually makes a workers’ compensation claim the only avenue of recovery for the injured workers of a properly insured employer, this is not the case when the employer fails to carry workers’ compensation insurance. If you’ve been injured and your employer does not have insurance then you have the right to bring a lawsuit against them for your personal injuries while you pursue your workers’ compensation claim. What happens if the accident that caused my injuries was my fault? There are times when your own actions can result in injury. For example, you weren’t using a piece of equipment properly and were injured as a result. Under California’s workers’ compensation laws, the fact that you are at fault for your injuries doesn’t matter. That’s because workers’ compensation is designed to be a “no fault” system. All you have to prove to receive workers’ compensation is 1) you were injured, 2) while you were working. That’s it. Compare that to a typical personal injury lawsuit where in order to recover you have to prove: 1) someone had a duty to be careful, 2) they breached that duty, 3) the breach of duty caused your injury, and 4) the injury caused you to incur damages. The removal of fault from the workers’ compensation process means it is immaterial that you may have caused you own injury, as long as your injury was accidental. Workers’ compensation does not cover intentionally self-inflicted injuries, such as those that result from horseplay or from the use of drugs or alcohol. What if I was injured while I was working somewhere other than my office? You don’t have to physically be on your employer’s property at the time you were injured in order to be covered by workers’ compensation. The only thing that matters is that what you were performing work-related duties when you were hurt. In other words, what you were doing when you were injured matters more than where you were doing it. This means that if you were on a business trip, driving to a remote meeting, delivering supplies, visiting a client’s facilities, etc. and you sustained an injury you are covered and can file a workers’ compensation claim. Are temporary workers covered by workers compensation? The good news is yes, they are. Temporary workers who are not independent contractors are covered by their employer’s workers’ compensation insurance policy. The bad news is that it can sometimes be tricky figuring out who their employer was at the time the injury. Depending on the circumstances, California law allows a temporary worker to be considered an employee of a temporary agency or the employer who is taking advantage of their services. So, the temporary agency may claim that the temporary employer’s workers’ compensation coverage applies to the worker. The temporary employer may also claim that it is the compensation coverage of the temporary agency that should pay the claim. If this situation arises, it is best to consult with an experienced workers’ compensation attorney who has the skills and experience necessary to sort the matter, and bring it to a successful conclusion. If you’ve suffered an on-the-job injury, your worker’s compensation claim is an important element in making you whole again. You will choose your doctors carefully so that you are able to return to the peak of health. Make sure that you choose an attorney who is able to return you to the peak of financial health, like the attorneys at the law firm of Fraulob-Brown. Please contact us at (916) 442-5835 if you have any questions about Workers’ Compensation benefits. Consultations are free and all fees are paid on a contingency basis approved by a Workers’ Compensation Judge.